What is GAZA DRAMA LONG TERM? Our exchange partnership is called GAZA DRAMA LONG TERM. It developed from Az Theatre’s WAR STORIES project which worked with companies from Algeria, Palestine, Serbia, Kosovo, Italy and the UK and at theatre festivals in Romania and Turkey from 2002 to 2007, supported by the European Cultural Foundation and the Arts Council England. It set out to create cultural exchange between artists and audiences in Gaza and London, to break down isolation and cultivate solidarity and to do so through creative work. It has created a model of participatory production and has refused to seek support from any government organisation. 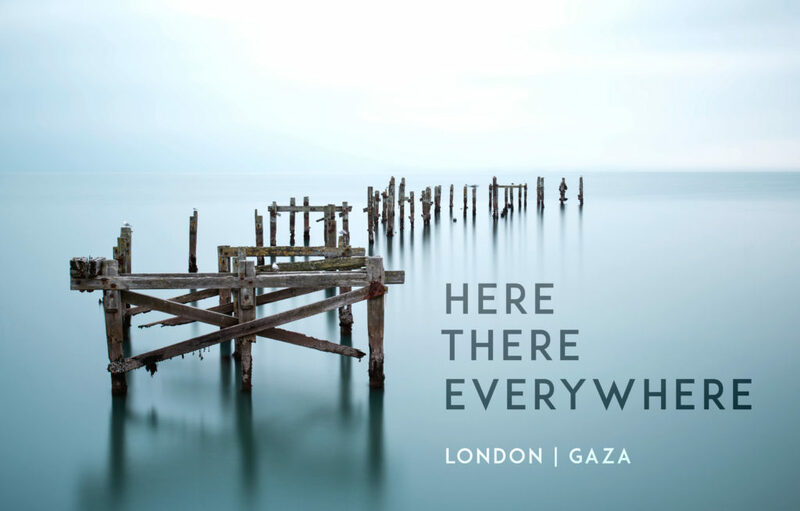 GAZA DRAMA LONG TERM has generated work in four phases since 2009: GAZA GUERNICA, GAZA: BREATHING SPACE, GAZA OPENING SIGNS and WAR & PEACE: GAZA (PALESTINE)/LONDON (UK). It has organised numerous public events in the UK some of which have connected live with Gaza through Skype. It has been supported by financial contributions from 100s of individuals and over 50 UK theatre artists (including Harriet Walter, David Calder, Maggie Steed, Tara Fitzgerald, David Lan, Jennie Stoller, Philip Arditti, Deborah Findlay, Caryl Churchill, Hassan Abdulrazzak and many more) have made creative contributions and appeared in person at our events that have attracted 100s and 100s of audience members. It has worked with over a hundred young people in Gaza and has explored theatre for those with hearing disability there and in London as well as linking theatre talent in both places. It has engaged with London venues: Rich Mix, Soho Theatre and the Globe Theatre and has received support from International Committee for Artists Freedom, International Performers Aid Trust, British Shalom Salaam Trust, Street Theatre Workshop. It has worked alongside Culture and Conflict, the Shake! Community from Platform Arts. We are looking for a group of young people here in the UK to make an exchange with the young people there who have come together around and activist journalist project: We Are Not Numbers. And we are looking for funds to do the War and Peace production and the NO (HU)MAN IS AN ISLAND workshop. A six-day workshop bringing together international stage artists with members of the Theatre for Everybody group from Gaza. This is a key stage in the ten-year GAZA DRAMA LONG TERM project (2009-2019), a cultural exchange partnership between Az Theatre London and Theatre for Everybody Gaza. The NO (HU)MAN IS AN ISLAND workshop is planned to happen in London in January 2017 and will offer audiences one or two presentations of work created and devised by the 10 participants directed by Jonathan Chadwick. Create as wide an access for audiences in the UK to this major international cultural exchange project. Provide the GAZA DRAMA LONG TERM project partners with the opportunity to develop plans for the closing phase of the project within an inspirational context. Work with other institutions and organisations (e.g. University of Manchester IN PLACE OF WAR project, University of Coventry Centre for Trust, Peace and Social Relations, British Actors Equity, British Arab Centre) to offer a platform for them to share experiences of working, living and creating theatre in Gaza. We are building the company of actors who will take part. We are inviting Arthur Nazaryan from Yerevan, Armenia and Reyhan Ozdilek from Istanbul, Turkey to join us, both of whom Jonathan Chadwick worked with earlier in the year in Istanbul. The following UK-based artists will join us (subject to availability): Harriet Walter, Joe Kloska, Nahar Ramadan, Zaydun Khalaf, Tom Chadwick. Jonathan Chadwick will be attending the Corner in the World Festival in Istanbul between 23rd October and 28th October to link up with Turkish and Syrian artists who worked on the Armenian-Turkish partnership project, THE BRIDGE, earlier in the year.